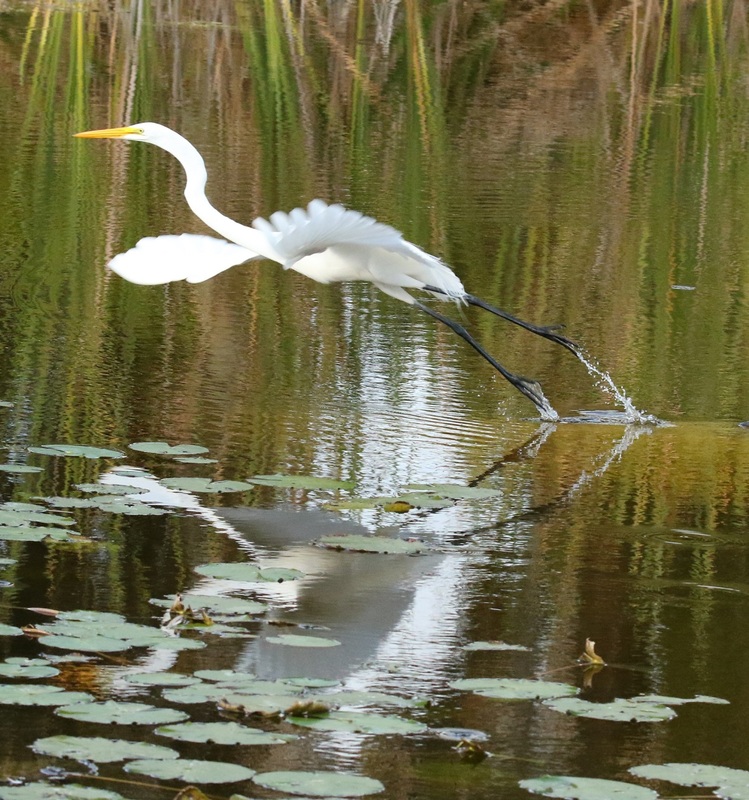 On your next visit to Ocean’s Reach, be sure to head off the beaten path and enjoy the Pond Apple Park Trail, a hidden gem popular with both birds and bird watchers. Walk or bicycle your way through wetlands, open grasslands and elevated boardwalks for the best views of beautiful cormorants, herons and wood storks, or a graceful great egret as photographed above by longtime guest Bill C. from Elgin, IL. The 1.6 mile loop features some of Sanibel Island’s most beautiful scenery and wildlife — all tucked away behind the hustle and bustle of Periwinkle Way. And it’s oh-so-easy to get there, as the Pond Apple Park trailhead is conveniently located in the southwest corner of the Sanibel & Captiva Visitor’s Center parking lot. Don’t miss it!